The convenience of shopping online and paying for a distance is undeniable. The affordability and simplicity of online payments make them increasingly popular by consumers. Adding the benefits to the merchant - saving space spending as well as the opportunity to promote services and products to a larger audience - it seems that online marketing offers unlimited opportunities. So far so good! But how is the issue with debit and credit cards? Is it possible to accept payments online without a pre-investment of funds? The myPOS company offers a variety of solutions that share a common advantage - no initial fees, subscriptions or service charges. Here's a little more about them. myPOS offers something new and little known in Bulgaria - links and buttons for accepting payments. They are generated for free from myPOS accounts. Just a few clicks and in less than a minute you can create a link or a button with a payment amount you've set. Then simply place the link or button on your website, blog or Facebook post. With just one click, your customers will be able to pay online for your goods and services. The request for payment is a variant of a payment link. It can be generated through myPOS account, mobile application or POS terminal and sent to customers by email or SMS, regardless of their location. The good news is that there is no need for integration or technical skills. 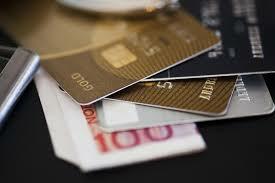 You do not even need an active e-shop or website to accept online payments with a Payment Request. myPOS also offers a special online payment module that can be easily integrated into an online store. In addition to ensuring that all payments are secure and immediate, the module works with the most popular electronic carts such as OpenCart, WooCommerce, Magento, PrestaShop and others. Last but not least, we present a solution that is extremely suitable for hotels and car rental agencies, namely the Virtual Terminal. It allows you to process payments from customers in case they want to provide your card details by phone or email (so-called MO / TO payments). Simply enter the details on a special page in your myPOS account, the amount due and confirm the payment. The virtual terminal is available from both the online platform and the myPOS mobile application.